Angela Moorad from OMazing Kids and Carolyn Clarke from Kids Yoga 101 co-hosted a poll to find out the Top 10 Favorite Books for Kids Yoga. 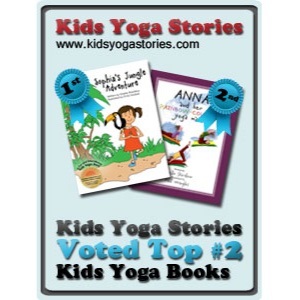 The results are in and we are ecstatic to announce that the top two books are from Kids Yoga Stories! 6. Storytime Yoga: The Treasure in Your Heart by Sydney Solis. Thank you so much for everyone for voting and supporting our mission of integrating movement, learning, and fun. We are honored to be included in the top kids yoga stories.